We want our patients to feel completely comfortable from check-in to checkout, but if going to the dentist makes you feel a bit nervous or even completely terrified, know that our team is ready to help using sedation dentistry. These safe and proven methods can protect someone from physical pain and calm racing thoughts to make any appointment a pleasant experience no matter what kind of procedure you need. We pride ourselves on providing an unmatched level of customer service, so please let us know anything we can do to improve your next dental appointment. Why Choose Island City Dental for Sedation Dentistry? Nitrous oxide has been utilized by dentists for over 100 years to soothe anxious patients, and the reason we still use it today is simple: it works! 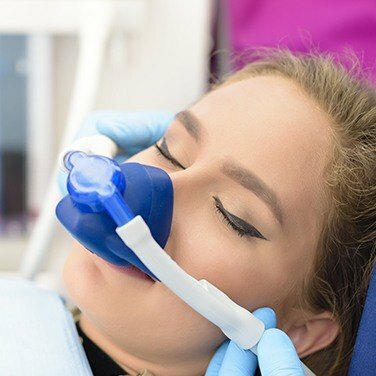 A patient wears a small nasal mask through which they breathe in a combination of nitrous oxide and oxygen, and within a few minutes, they should feel completely calm and warm from head to toe. The mask stays on for the entire appointment, and once it’s removed, a patient should feel completely normal within a minute or so. This means someone can resume their day without having to deal with any lingering drowsiness. 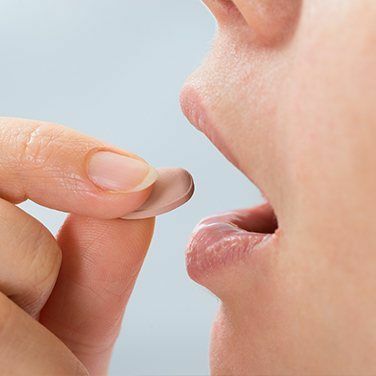 Oral conscious sedation is the answer to many dental patients’ prayers, because with this approach, you literally take a pill that helps any dental nerves seemingly disappear. Your dentist will prescribe you the medication and ask you to take it about an hour before your appointment. By the time you arrive at our office, you’ll already be completely relaxed both mentally and physically, ensuring your appointment flies by in a flash. This is especially useful for patients in need of more extensive procedures.